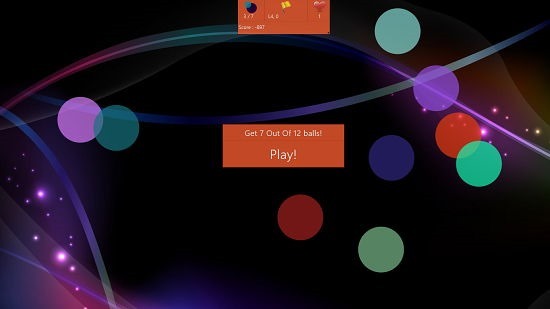 Cause a Reaction is a free game for Windows 8 and 8.1 which allows you to test your IQ by asking you to place a ball at a position where the other balls can strike it. 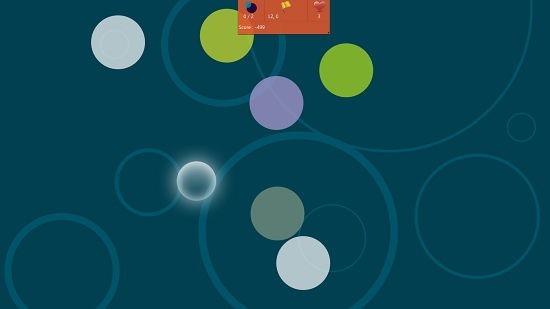 Your mouse controls one ball, and the other balls are moving around and striking off from the edges of the screen. The ball that you place will vanish in a few seconds so you have to take care to place it at a position and at a time when the other balls are close by and they can strike it. At the beginning of a level, the game informs you that how many balls you have to get attached to your ball, like 1 out of 3 total balls, 7 out of 12 total balls etc. The game is easy to understand, but takes a while to get a complete grip of. Cause a Reaction is available for free from the Windows App Store. Simply click on the Play button in the above screen. As this is the first level, you have to get 1 out of 3 total balls in this level. The gameplay is shown in the below screen. The white glowing ball is your ball. You can move it around with your mouse cursor and can place it on your screen anywhere by clicking on your screen. 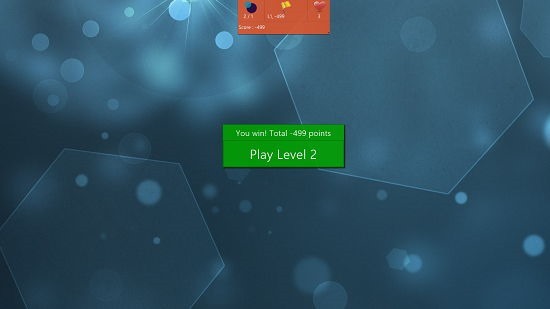 When the level is complete, you will be informed if you won the level. The game progresses in difficulty and complexity as you complete each level. It sure is a pure challenge to your wits and definitely makes for a great download! At the beginning of each level it also informs you about the number of balls that you need to get in the following way. This sums up the main features of Cause a Reaction for Windows 8 and 8.1. Cause a Reaction is a well designed game to test your brain and motor skills. The game is a great way to pass some time and have fun at the same time. Make sure that you grab it for your Windows 8 or 8.1 device from the link below!